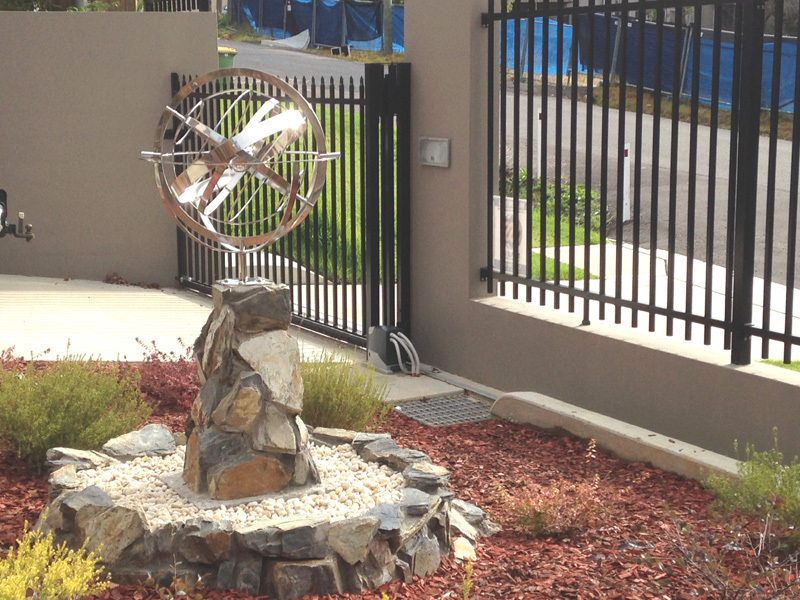 Custom décor products such as furniture or ornamental garden features can make a big difference to the visual impact of your home or garden landscape. 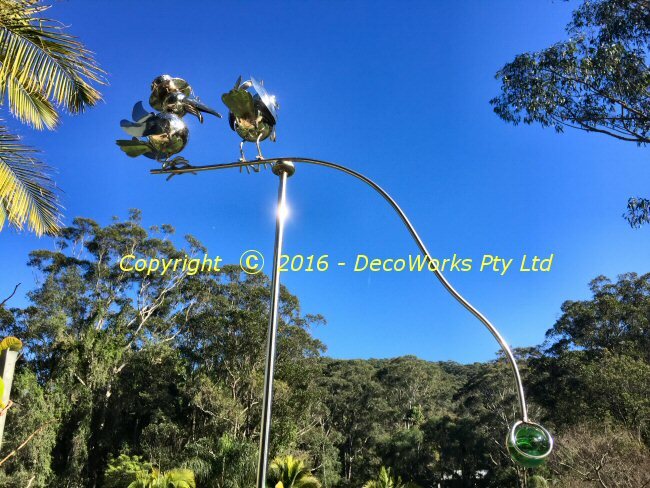 Our versatile skill base and creative imagination gives us the cutting edge in creating stylish décor products for the discerning client. 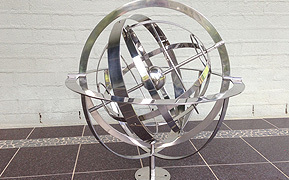 For out of the ordinary décor products have a talk with us and see how we can help bring your ideas to life. 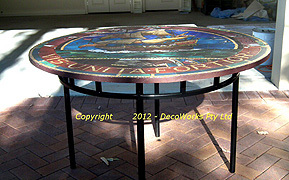 Here are some examples of items we have created. 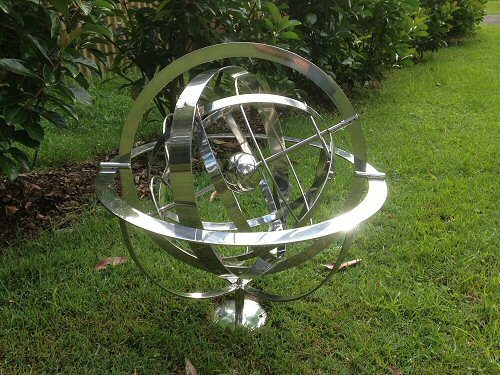 This garden armillary rock feature was designed to mount a polished stainless steel armillary sphere which would be the focal point for a front garden. 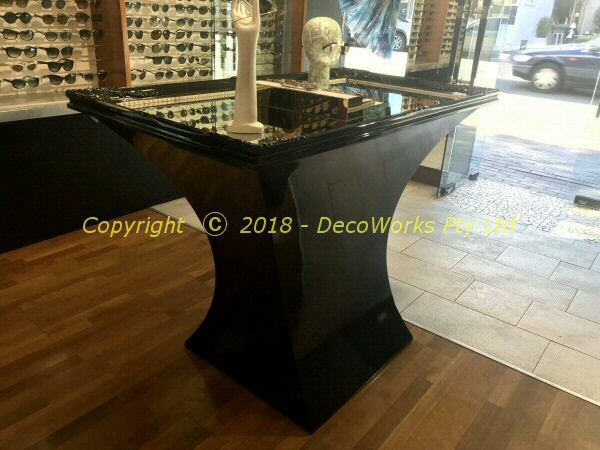 Custom concave table base with large mirror top for optical product display. 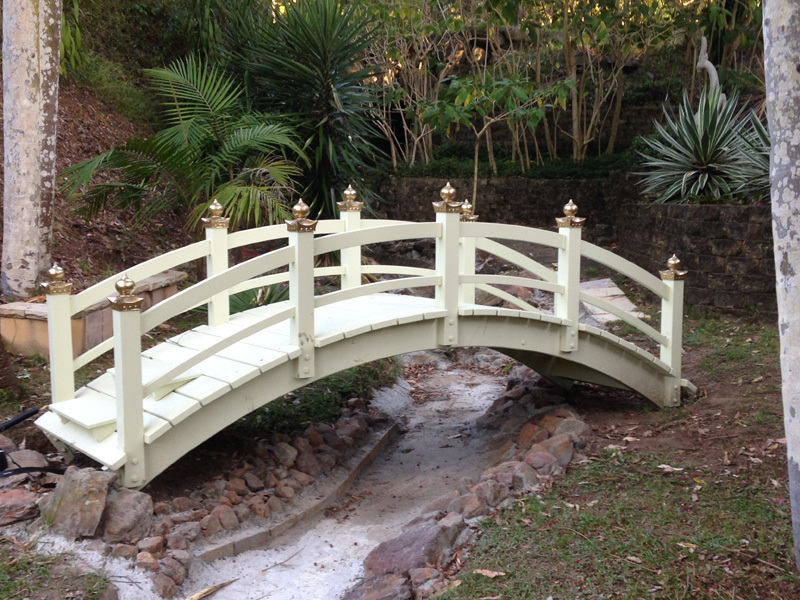 This three metre Japanese bridge makes an interesting focus in this gully garden. 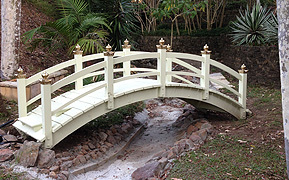 Two small steps were built on either end of the bridge to make it easier to step on and off the bridge. 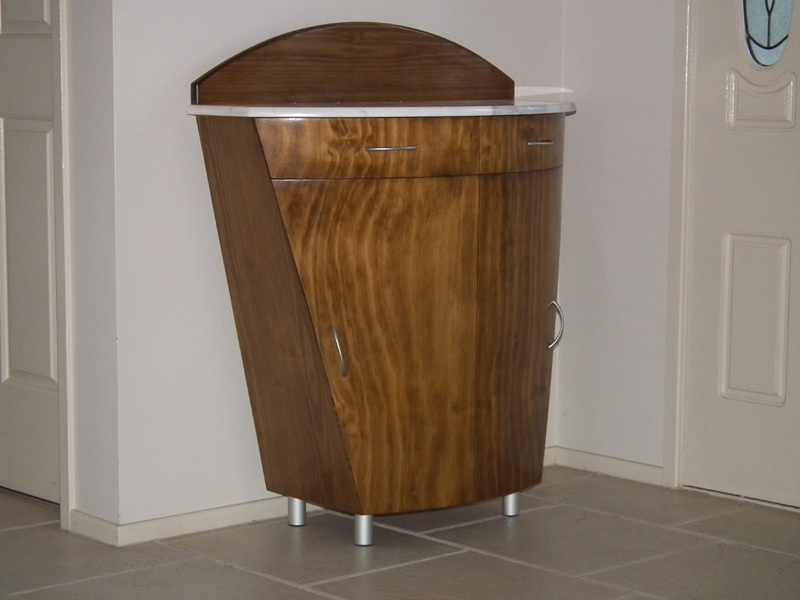 This custom built side cabinet was designed by DecoWorks Pty Ltd. 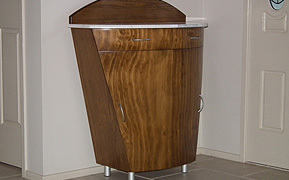 The design is unusual in that it has tapered sides as well as curved front doors and drawers. 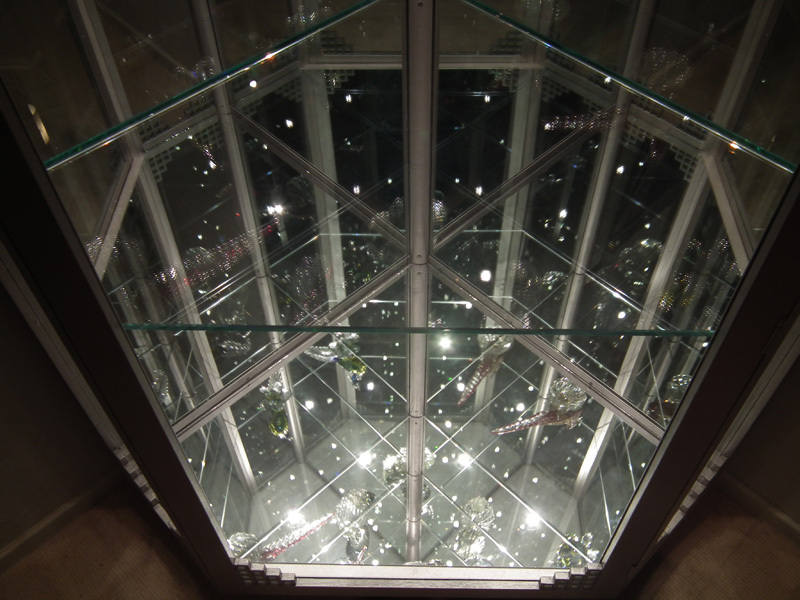 The doors hinge from the centre in a similar way to gull wing doors on exotic cars. 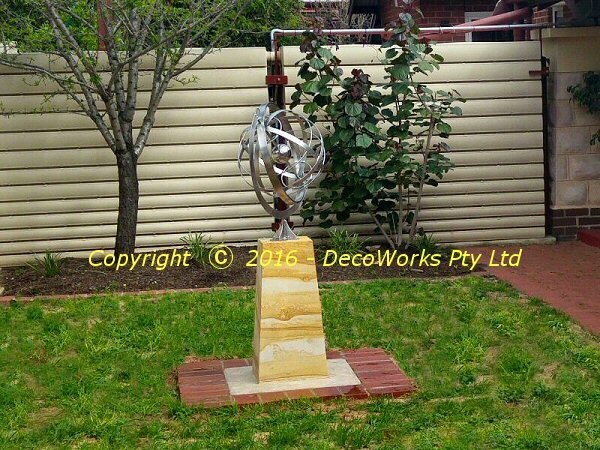 This large DecoWorks garden armillary sphere has been fitted onto a stone column in the centre of a circular tiered garden bed made of stone. 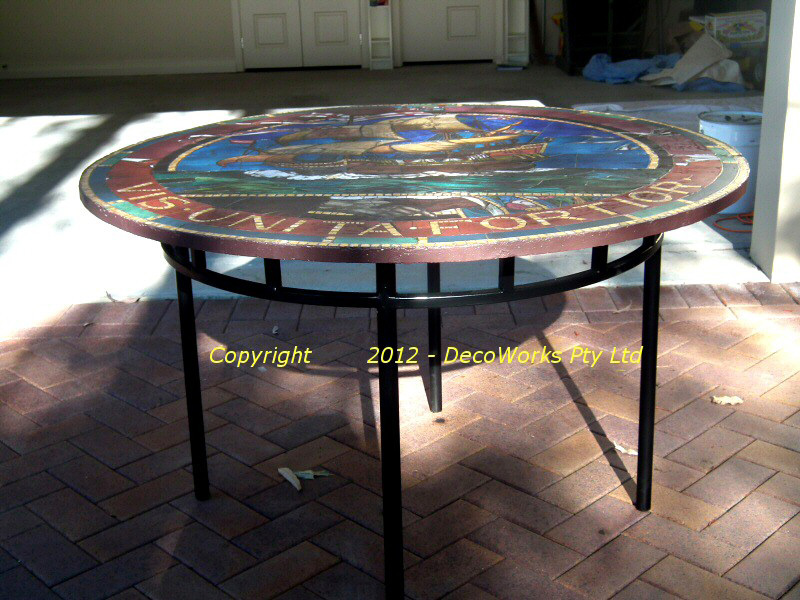 A steel table base was needed by a client who had a beautiful early 20th century mosaic table top made by the prominent Dublin stained glass artist Ethel Rhind. 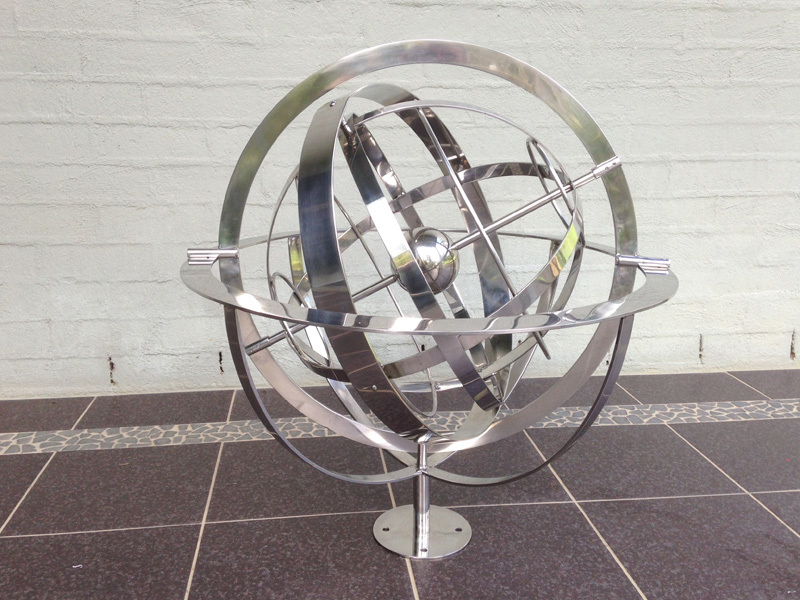 This armillary sphere is made from stainless steel and is 60cm in diameter and is based on the demonstrational armillary spheres made during the 17th and 18th century. 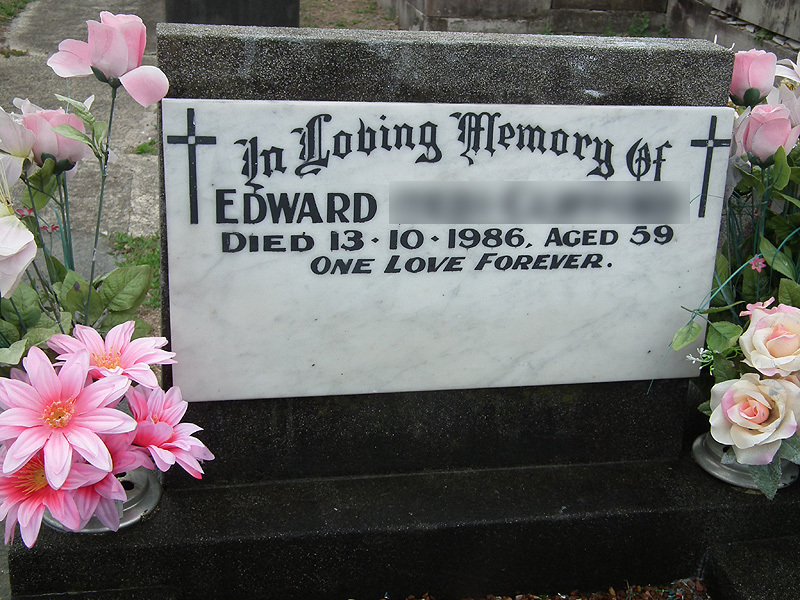 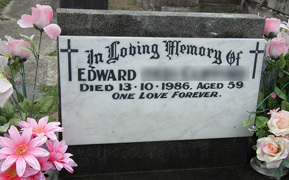 The headstone letters of this particular grave responded well to the special technique we developed to restore missing headstone lettering. 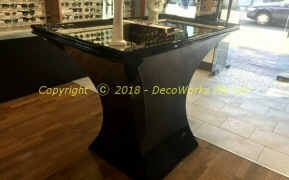 This custom built display cabinet was designed by DecoWorks Pty Ltd. A design feature is the addition of Chinese lattice corner trimming on the windows and door. 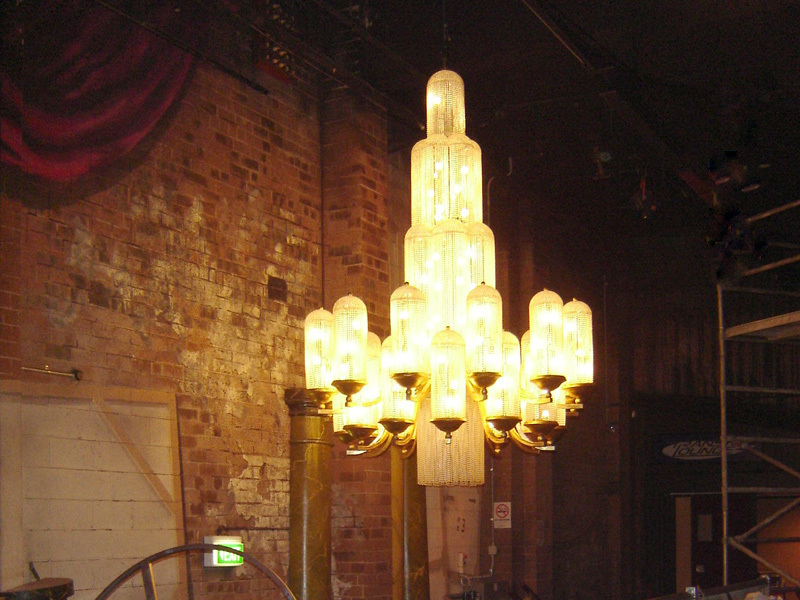 A lightweight replica was made of the original Art Deco chandelier from the Regent Theatre in George Street Sydney. 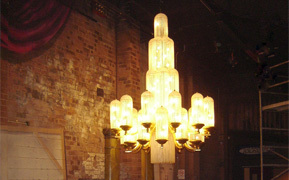 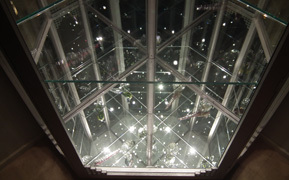 It was installed in the foyer of the new Metro Theatre in 1992. 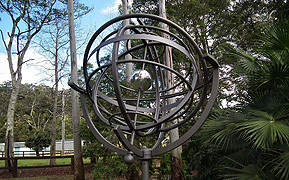 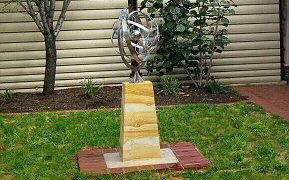 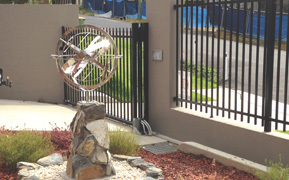 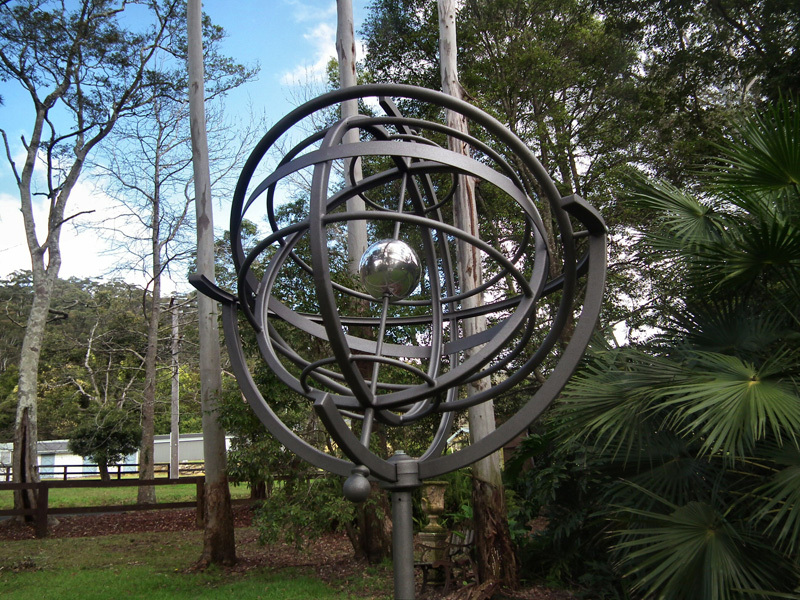 This stainless steel garden armillary sphere was shipped to an interstate client who organised the cutting of the sandstone column and fitting of the sphere. 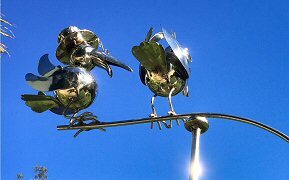 A cute rusted tin bird mobile is reproduced using stainless steel to give it a new lease of life.